5th Grade Girls' moms coordinate a one- night event for 5th grade mothers and daughters in the Spring. 5th Grade Boys' moms coordinate a one- night event for 5th grade fathers & boys in the Spring. Chaired by the 5th Grade Room Captain, this committee oversees the planning and execution of the 5th Grade picnic, party, and gift at the end of the school year. Committee coordinates the before school care program, which is offered to help working parents of Walden students. Drop-in students can also be accommodated. It provides a safe environment for children before school. Information is distributed to families in the fall. Chair works closely with the Before School Care teachers/staff. This committee will organize a fun evening of bingo for Walden families. They will coordinate all aspects of the evening including sales, publicity, games, prizes, food service, and volunteers. The teacher raffle will also be included. This committee coordinates this ever-popular and super-successful fundraiser held at Walden during the fall or winter months. Books, offered through Scholastic Books, are featured during this multiday event. The Box Tops fundraiser is a no-brainer as it allows parents to contribute to our school by buying products they normally purchase for their families. Simply watch for the Box Tops for Education labels on many name-brand grocery store products, cut out the label and send it to school. We earn money for every label collected. This committee coordinates the ordering of engraved bricks with an outside vendor. 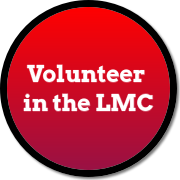 This committee works with the LMC director and obtains volunteers to assist the LMC staff. This committee also administers the “Celebration Books Program” in which families donate books to the LMC in honor of family and friends. Description: This committee coordinates gifts for faculty and staff throughout the year, celebrating such weeks as Nurse's Week and Librarian's Week, as well as weddings and births, and welcome back to the school year gifts for the staff. The PTO sponsors enrichment programs/assemblies for the entire student body. These creative presentations are of an educational nature and are always very entertaining. This committee seeks out, researches and coordinates these programs. This committee will introduce programming to increase disability awareness in our students. After School Enrichment classes are offered to all Walden students after school and at lunch for kindergartners and occasionally older students. Three sessions are held throughout the year and coordination of this program involves hiring teachers, seeking out programming, registering students and distributing information to families. This committee and our gym teacher plan and promote a day of games and activities for our children to support fitness, cooperation, team spirit and school pride. This committee will collaborate with the district to implement strategies for a more "green" conscious and environmentally friendly school. This committee plans and organizes dinners for the staff at Open House, Conferences, and the Teacher/PTO Winter Holiday Luncheon. 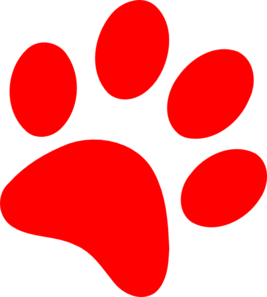 This committee will also provide treats for the faculty/staff from the PTO on predetermined special occasions. This school year kick off offers Walden families the opportunity to meet new classmates and friends. They will coordinate ice cream, entertainment and volunteers (including 5th grade students) and handle the evening from start to finish. This committee is generally comprised of fifth grade parents. This committee helps the incoming Kindergarten parents make the transition to Walden a little easier. The committee works toward educating, introducing and explaining Walden and it’s happenings at a summer outing. This committee coordinates the ongoing sales of Mabel's Labels through our dedicated site with the company. This committee plans and executes a one-night event in the Walden Gym where families are invited to "picnic" and watch a family movie. This committee is responsible for supplying and distributing (or getting volunteers to distribute) treats/cookies in the MPR following evening performances such as music shows and other productions. Volunteers plan and provide an annual “early bird” pancake breakfast for Walden families with the help of teacher cooks and volunteers. Responsibilities include choosing and coordinating philanthropic activities in which the student body can participate. An example is collecting used backpacks and end of the year school supplies to give to a needy school. A parent volunteer (Room Parent Coordinator will secure this volunteer) to assist at Walden on Picture Day. This committee is responsible for coordinating the annual faculty and staff pumpkin carving competition. This committee coordinates room parents for every classroom in the school. Besides helping teachers, and planning holiday parties, room parents are also responsible for coordinating teacher gifts and the flowers for the music shows. The 5th grade room parents will also coordinate the 5th grade end-of-the-year party and picnic. These chairpersons provide a great service to the Walden School community by providing school supplies “in a box” delivered directly to your child on the first day of school. Activities include supplying and collecting forms and payments at the close of each school year and coordinating delivery of supplies to students in their individual classrooms prior to the start of each school year. Science Night is an evening of fun "hands-on" science activities for Walden students along with a display of student created inventions called "Invention Convention". The committee will decide and create (or gather) science activities for a variety of science stations to be set up in the MPR or gym the night of the event. This program challenges students to do six hours of reading to earn free passes to Great America. Chair coordinates the distribution and collection of applications and tickets. This committee will organize an evening skate night activity away from the school for Walden families in the fall. This committee coordinates with vendors to pre-sell and distribute "Sweet Treats" during lunch throughout the year. Description: This committee coordinates the weeklong, schoolwide effort to show our appreciation to all teachers and staff members through thoughtful events and gifts. Description: This committee coordinates a welcome breakfast for Veterans and their families, a school wide assembly honoring our Veterans and educating our students, and classroom meet and greets with servicemen and women. Before school begins, and throughout the year, this committee will decide on what clothing and other items to feature, show them at various school functions and coordinate sales and delivery of items to Walden Families. This committee is responsible for overseeing the website, communications with families about PTO events and PTO blasts. Lunches are brought in from local restaurants daily using Kiddos, a local lunch service provider. This committee handles all communications with Kiddos and coordinates our daily volunteers who serve lunches to students. The PTO receives a portion of the cost per lunch. This committee works throughout the year to design the yearbook which will be sold and distributed at the end of the school year. How do I Communicate via the PTO website? This is the link to how communication procedures work.